We are super inspired by all things geometric lately. From decor to furniture…geometric patterns like squares, hexagons, and triangles are taking the design world by storm. 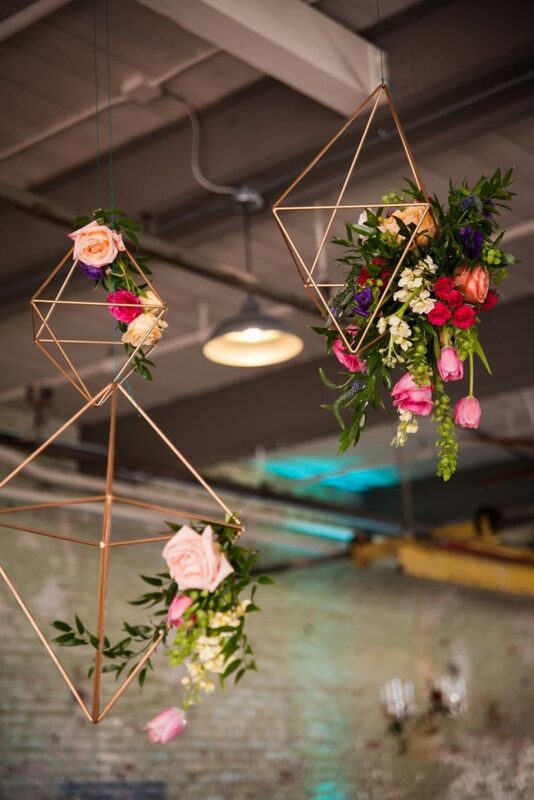 For example, these lovely wall hangings pair the clean lines of the copper geometric forms with lush floral arrangements. 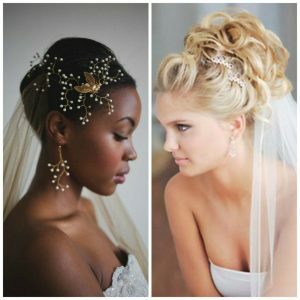 So modern, fresh and pretty. 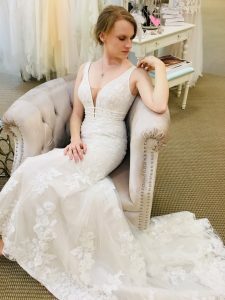 And perfect for weddings! 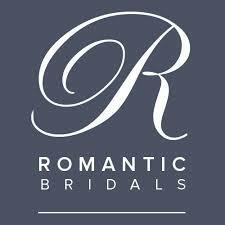 This same design aesthetic has also been making an appearance on wedding cakes lately. 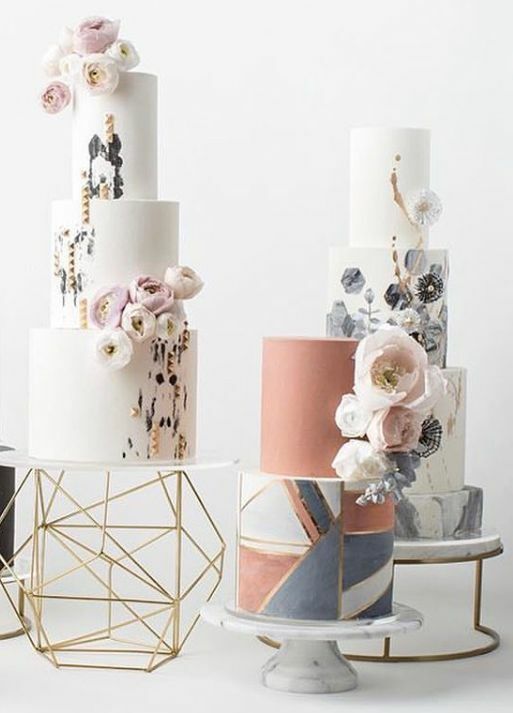 From Pinterest to Instagram, we’ve sourced lots of inspiring options for anyone looking for a hip wedding cake. 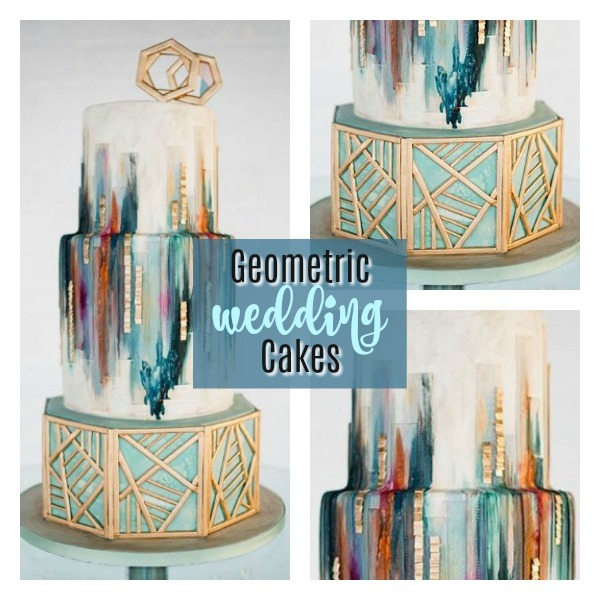 Irresistible geometric cakes run the style gamut from softly romantic to boldly graphic and can add a lot of impact to your wedding day! 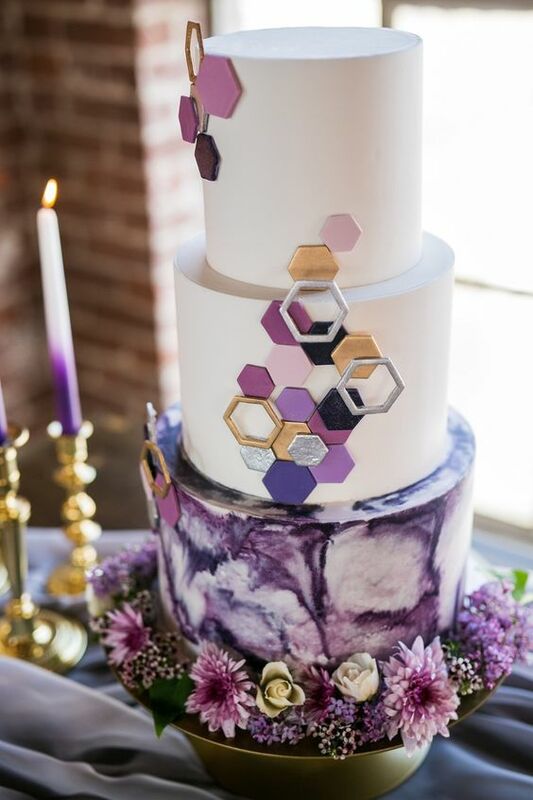 We love this moody, purple take on a geometric cake featured on elegantwedding.ca. 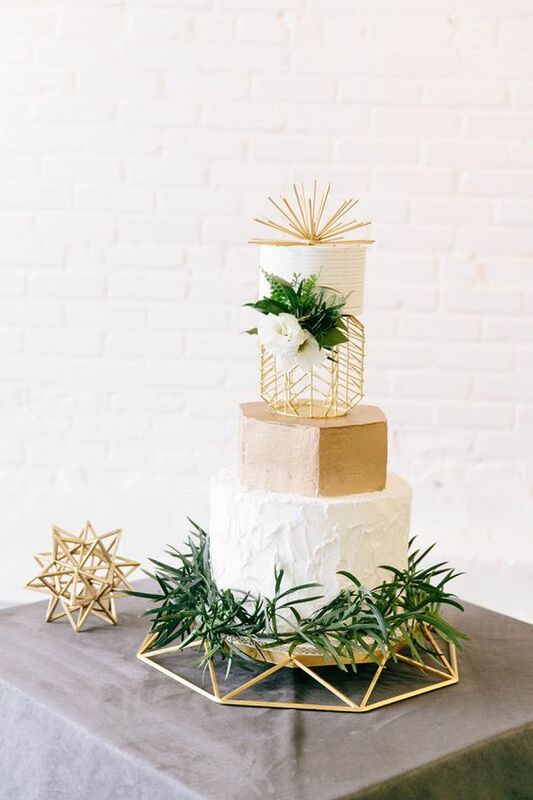 The three-tiered cake uses pops of gold and black for a striking effect. 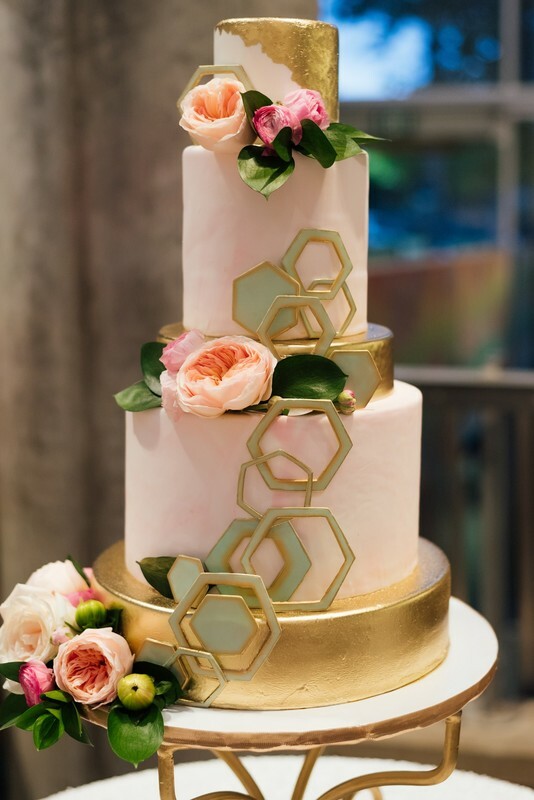 Honey Crumb Cake Studio created this pristine marbled cake with rose gold geometric details and a sugar succulent cluster. 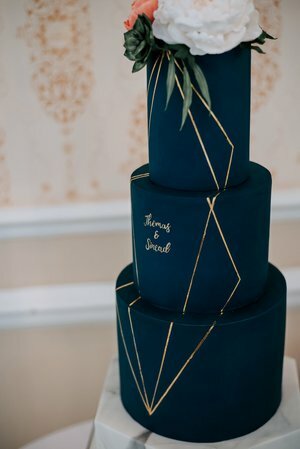 Triple tiers of rich, dark navy fondant covered cake are accented with gold geometric details and topped with beautiful florals from the amazing artistry of Marie Antoinette Cake Design. 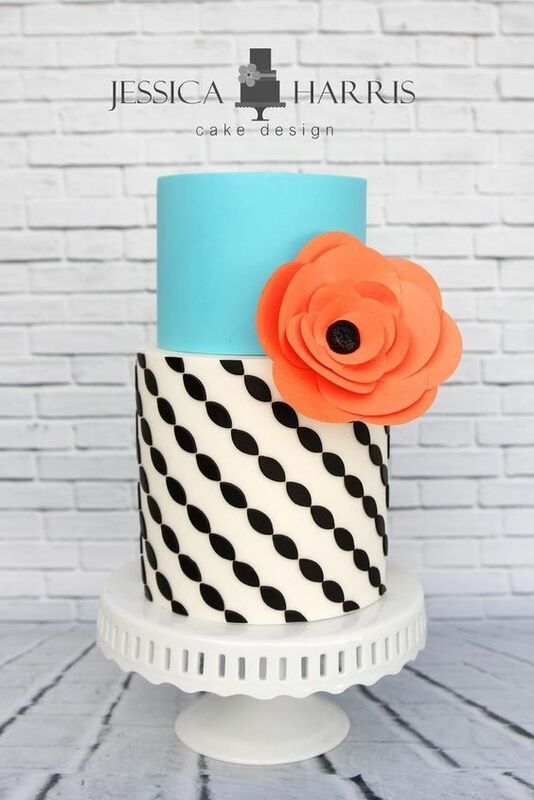 We love the bold graphic elements and colors on this bright cake from Very Unique Cakes by Veronique. The black and white stripes paired with the red poppies are so flirty and fun. Another bright and beautiful cake comes from Jessica Harris Cake Design. 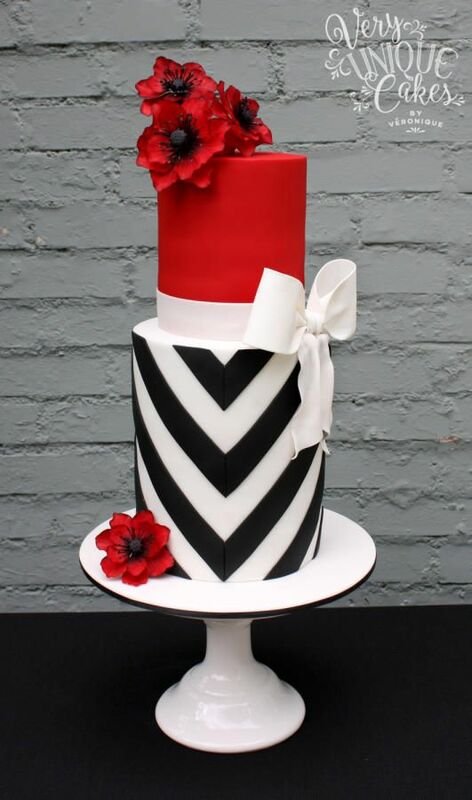 This confection combines color and pattern with texture…a stunning combo!! 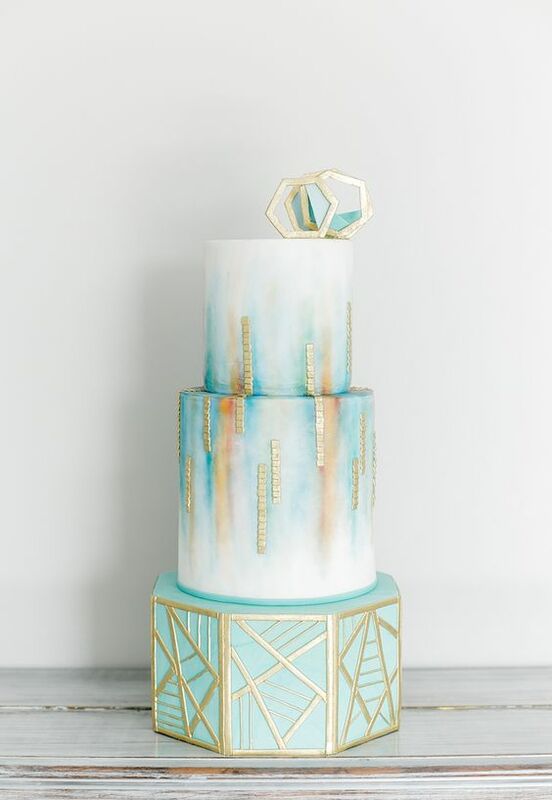 We found this light and airy dream cake on Pinterest and fell in love with its’ watercolor wash of blue accented with mint and gold geometric elements. 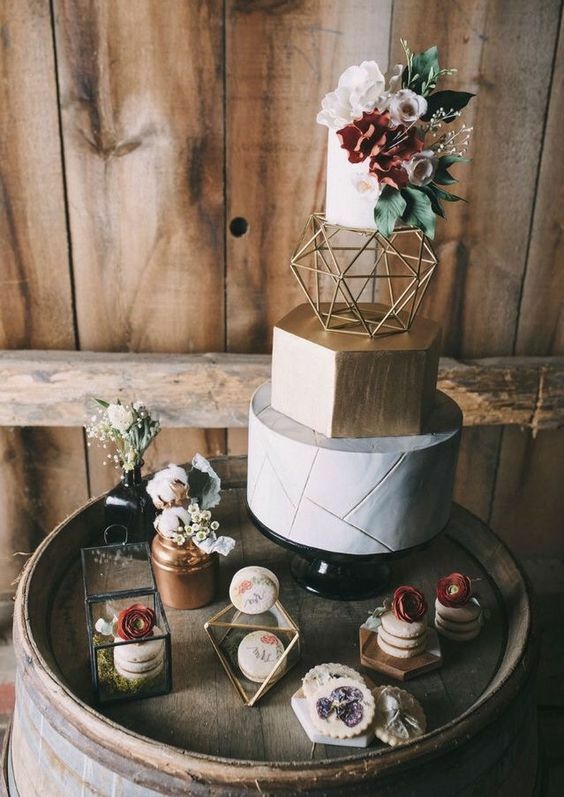 This rustic-glam cake has a geometric shaped top tier and looks perfectly in place perched on a barrel in a barn setting. 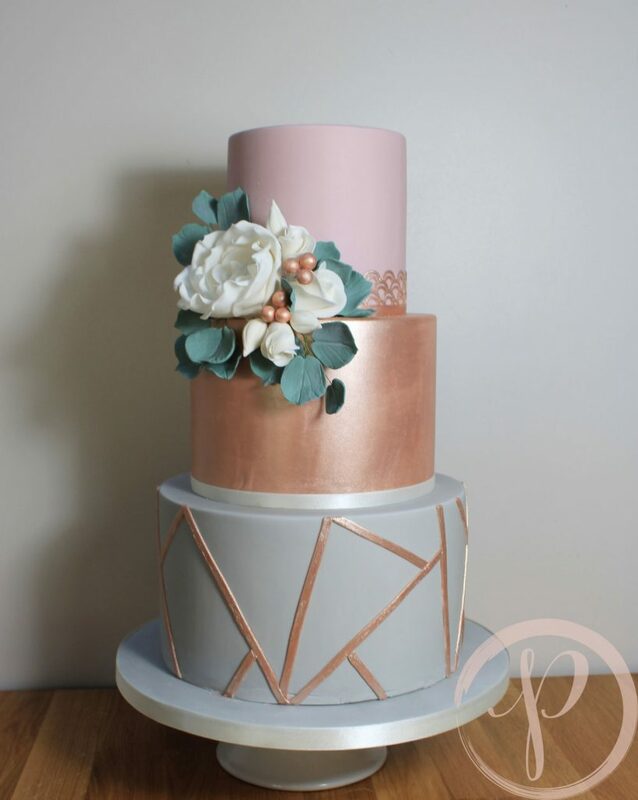 The Pink Cake Box created this soft and dreamy confection which combines blush pink, rose gold and grey. 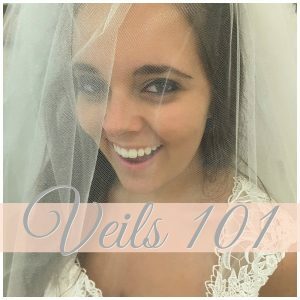 The bottom layer is accented with rose gold geometric accents. 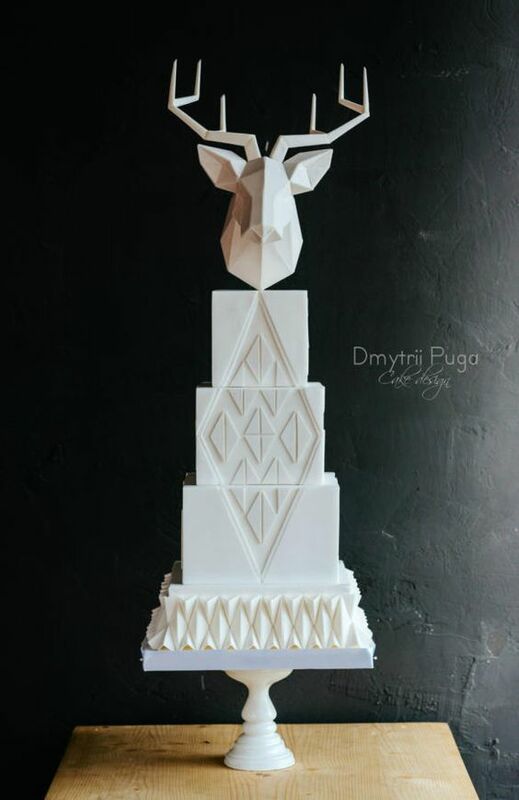 Dmytrii Puga designed this arresting, white-on-white geometric masterpiece topped with a deer head sculpture. 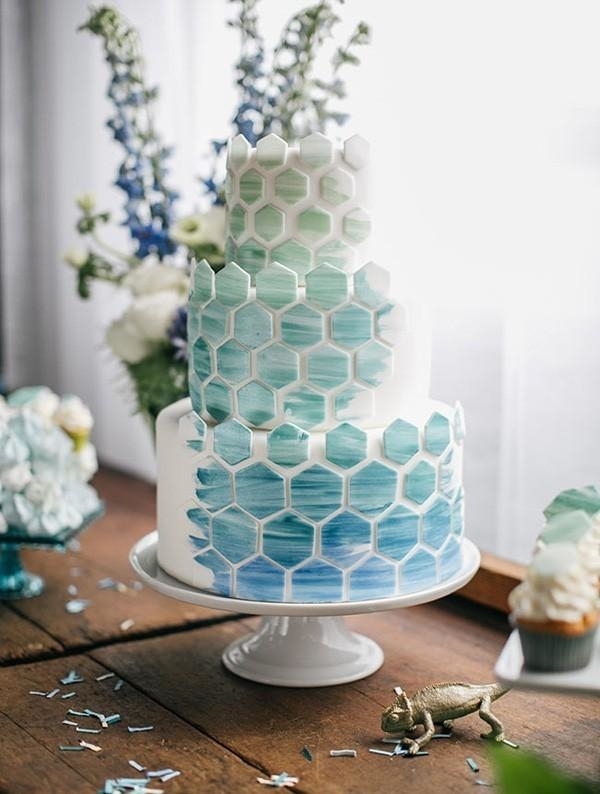 Octagon shapes in an array of pretty pastels adorn this three-tiered cake. Another octagon-adorned cake in white with gold. 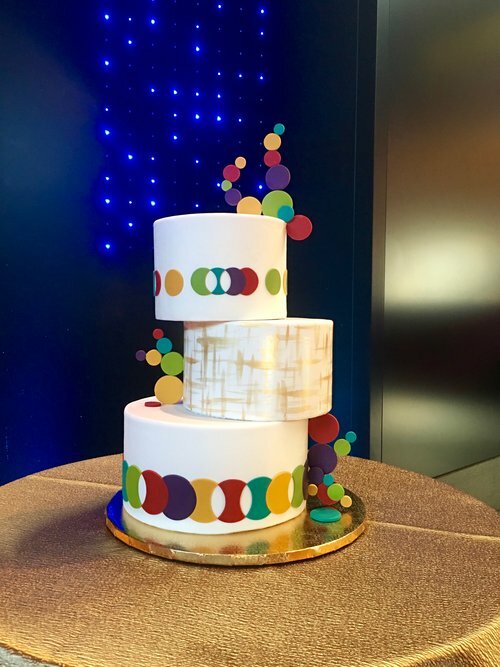 A vision of mid-modness, this geometric cake incorporates brightly colored circles and off centered layers. 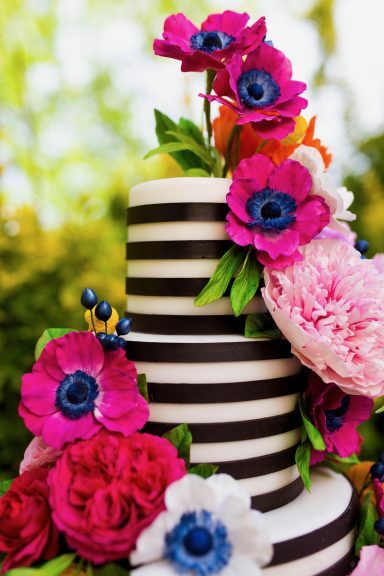 This exquisitely crafted one-of-a-kind cake features black stripes over white layers and vibrant sugar floral elements and is from The Mischief Makers Cakes. 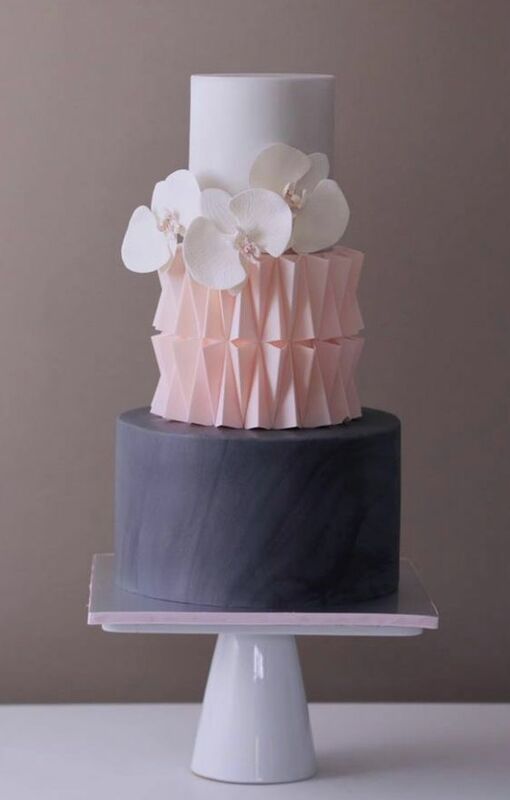 MODwedding showcased this sweet cake with soft pink geometric shapes in 3D. 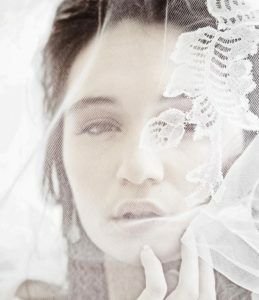 The design is simple yet utterly captivating. 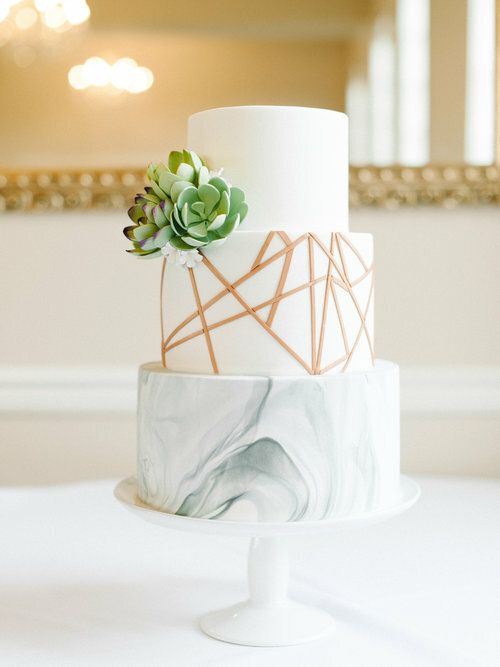 This mega-tiered cake is a beautiful combination of gold, white and green. We especially love the base and all the geometric risers. 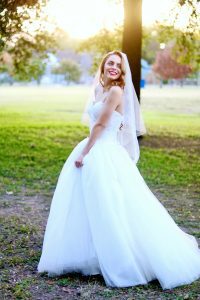 How gorgeous is this five-tiered wedding cake from Sweet Cheeks Baking Company? 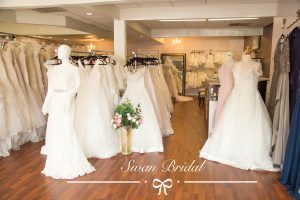 The sweet blush pink topped with glittery gold and highlighted with mint green geometry makes our hearts sing. 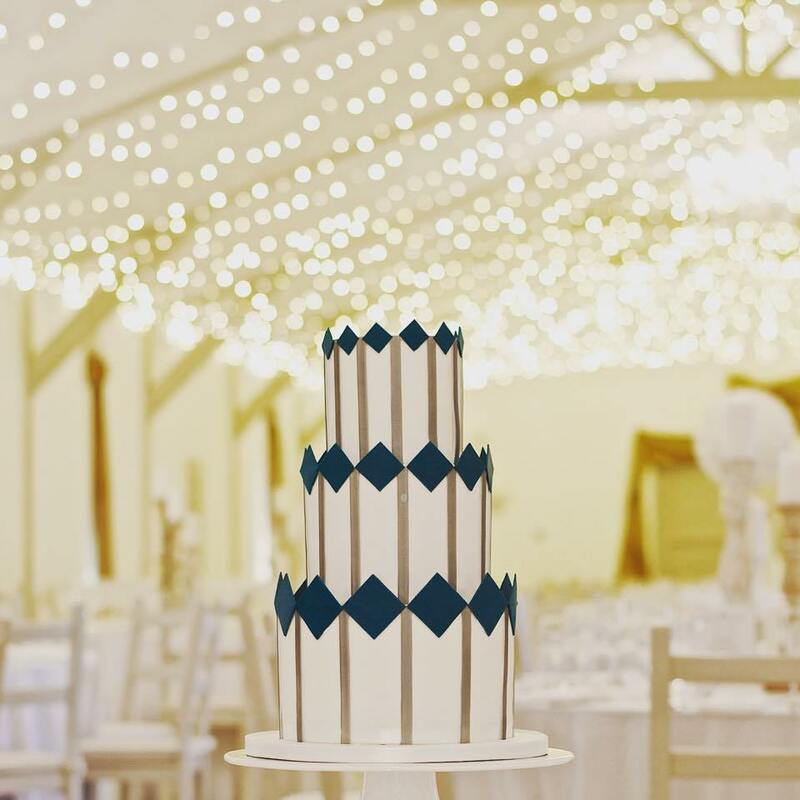 The Wedding Cake Boutique created this clean-lined, contemporary cake with blue diamond embellishments. 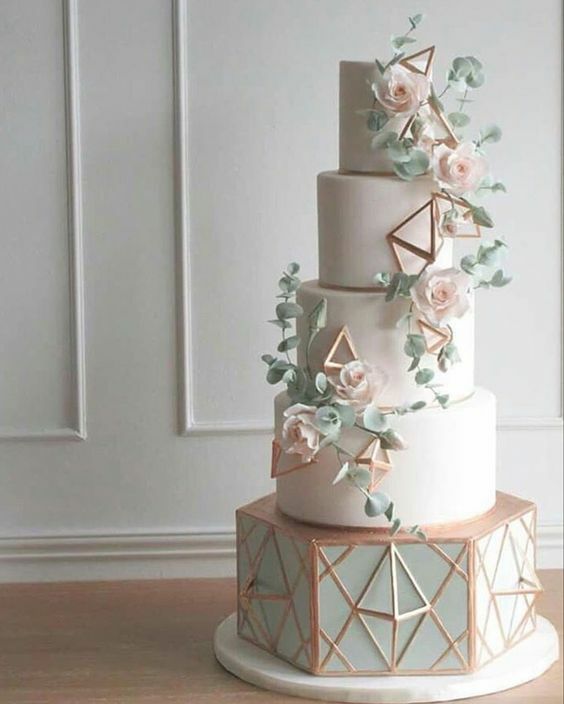 What’s better than one kick-bootie geometric cake? Three of them!!! 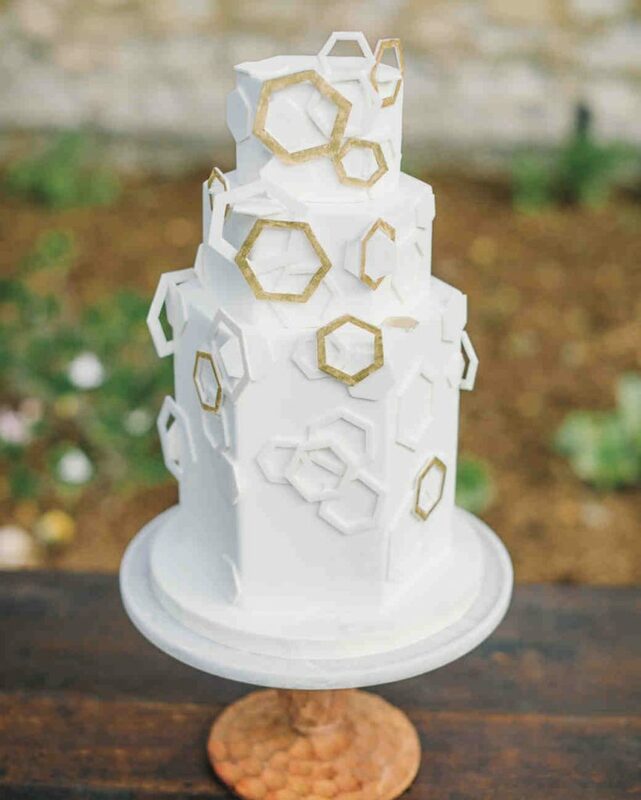 Another visually stunning option, geometric-cake wise, comes from Vekha Events. Tiers upon tiers of soft cake rounds are accented with lovely florals in the palest of pinks and 3D shapes in copper. 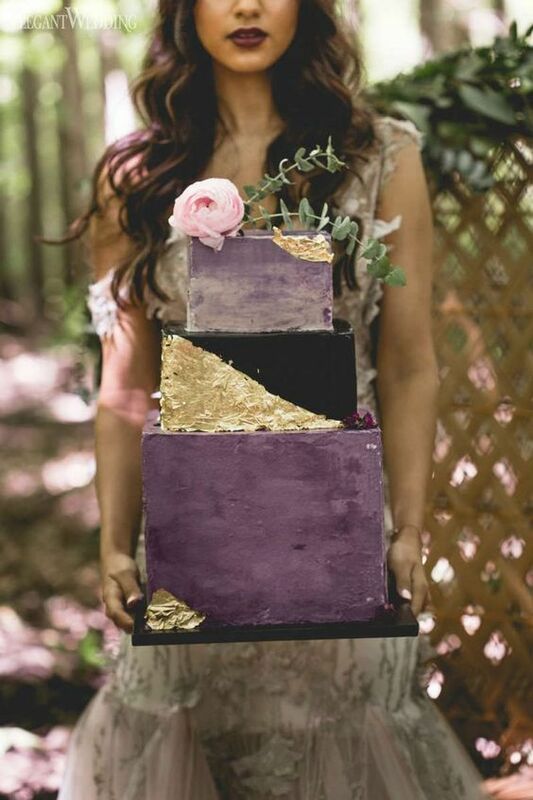 If you are passionate about purple, consider this cake featured on Wedding Chicks. The bottom marbled layer sets the stage for drama while purple, black, silver and gold combine for a major punch of style.